Professional provocateur John Horgan bravely took on a room full of skeptics a few days ago when he scolded them for what he thinks are their misplaced priorities. Horgan thinks that a lot of skeptics are taking on ‘soft’ targets – homeopathy, astrology, UFOS etc. and instead should be spending far more time on ‘hard’ targets. Horgan thinks that this kind of cherry-picking not only allows skeptics to keep on patting each others’ backs in echo chambers, but it detracts from other important issues that deserve skeptical scrutiny even more. To a large extent his argument is simply one of degree, since he clearly does not think homeopathy or UFOs don't deserve skeptical takedowns. What are Horgan’s favorite ‘hard’ targets? One is war. He says that more skeptics should spend time debunking the idea that war is intrinsic rather than cultural. The other hard target is belief in highly speculative theories from physics like string theory, parallel universes and the idea that our universe may be a simulation created by aliens. I won’t go as far as he does to say that string theory is akin to astrology or homeopathy, and I also think that these theories have come under much harsher criticism than he thinks in the last decade or so: I am more concerned about the fact that popular science books expounding these theories are taken quite seriously by uninformed laymen. But the general idea that many informed skeptics should spend more time on talking about the shaky pillars of some of these speculations seems to be a reasonable one. The third target that Horgan addresses is the field of medical diagnosis. By now it’s quite clear that standard diagnostic tests like mammograms and PSA (prostate-specific antigen) testing are subject to such a high false positive rate that they may cause more harm than good (a very good book on these pitfalls that I read recently is Steven Hatch's “Snowball in a Blizzard”). Many bloggers and self-proclaimed skeptics have responded to Horgan. The main criticism is simply that skeptics are far less monolithic and more diverse, both in degree and kind, than he thinks. The criticism also includes the admonition that the good is not the enemy of the great and one needs to work on both. I would also add that a target like homeopathy or even UFOs is not ‘easy’ in the sense of easily convincing its proponents. But generally speaking I think Horgan is not wrong. There are certainly some topics which would benefit from more scrutiny than what they currently get. Skepticism has a long tradition in both eastern and western cultures, best exemplified for me by the Royal Society’s motto “Nullius in verba”, or “Nobody’s word is final”. Sadly, I think that motto points to another failing of skeptics; their tendency to steer away from politically controversial topics, either because they think the last word on such topics has already been said or because they think that saying anything about them would be dangerous. To Horgan’s list of topics that reasonable skeptics don’t criticize as much as they should, I would add climate change and the study of genetic factors underlying race and gender (Ironically, Horgan himself once wrote a post asking if research on such topics should be banned). To me it appears that many skeptics seem to think that even discussing these topics is taboo or unreasonable. Such a stance would be deeply antithetical to the skeptical spirit of free inquiry. No topic should be taboo or unreasonable as long as it contains facts to be explored and assessed. There are several interesting aspects of each of the above topics that not only deserve attention but which can also be discussed in a reasonable and respectful manner without dealing in either/or fallacies or derailing your basic beliefs for that matter. For instance, to cite only a few examples, as writers like Steven Pinker and Diane Halpern have discussed, you can talk about biological aspects underlying gender differences without believing even an iota that one gender is ‘superior’ or ‘inferior’ to the other. Similarly, as biologists like Jerry Coyne and E O Wilson have pointed out, you can accept the existence of different races (or groups) and genetic differences underlying them without ever thinking that one race is superior or inferior to others. In fact, not only is it an elementary logical fallacy to equate ‘different’ with ‘inferior’ or ‘superior’, but it's not even clear what superior or inferior could even mean in these contexts. Halpern, Pinker, Coyne and Wilson are all proud upholders of the skeptical and liberal traditions who believe in clearly separating what is known from what is unknown. The same goes for climate change; you can clearly accept the basic reality of climate change while pointing out that certain details about the phenomenon might still be ill-understood. For instance, you don’t have to trash climate change as a whole in order to question the validity of computer models of climate. Or you can acknowledge good scientific knowledge of the atmosphere while acknowledging poor scientific knowledge of the biosphere. Sadly, many skeptics not only shy away from discussing these topics, but they also have a tendency to vilify or ignore those on the other side who raise the kinds of interesting questions which I pointed out above. An unfortunate instance would be the time that an entire organization of scientists ended up slandering the anthropologist Napoleon Chagnon because he tried to reveal rigorously researched facts about the violent culture of the Yanomamo tribe that flew in the face of everyone’s comfortable leanings about violence and human nature. Another example would be the censure that the historian of science Alice Dreger had to go through when she brought up some inconvenient scientific questions about transgender people (this is documented well in her readable book). The reaction to physicist Freeman Dyson’s views on climate change would also be in the same category. The most startling fact is that Dyson, Chagnon and Dreger are all liberals who have long championed liberal causes and freedom of the individual. Dreger's case is especially troubling since she has been an unusually vociferous and dedicated supporter of LGBT rights for almost her entire career; it would thus seem that the very community which she loved and fought for turned against her. She and the others also happen to be champions of going where the scientific truth leads, believing that knowledge is always better than ignorance and that even inconvenient knowledge can be prevented from being misused through our shared humanity. The antidote to misuse of knowledge is not opposition to knowing the facts, not the least because the facts have an inconvenient way of making themselves known. The reality of critical discourse on many of these topics is more nuanced than we think; for instance, as I pointed out a few years ago, there is no doubt that some climate change “deniers” are actually deniers with vested financial or political interests, but some are also genuine skeptics who are asking fine-grained questions about specific parts of the topic in honest faith. Dreger and Chagnon were raising questions based on perfectly reasonable research and theorizing. Dyson who agrees with the basic reality of climate change nevertheless questions poorly understood aspects of computer models, cloud formation and soil chemistry. Science is complicated, and scientific disagreement is often also complicated, gray rather than black and white, and irreducible to binary categorization. Just because you are skeptical of some of the pieces does not mean you don’t trust the big picture, and just because you trust the big picture does not mean you cannot be skeptical of the little pieces. As history demonstrates, there will always be ideologues with racial, misogynistic or otherwise ulterior motives who will use even the barest quibbling about details to bolster their prejudiced views (creationists do this in the context of evolution all the time), but opposition to these ideologues should be clearly distinguished from opposition to the inquiry itself. Ironically, in casting these skeptics as kooks or paid shills, it’s the so-called skeptics who are being close minded and the so-called kooks who are being the real open-minded skeptics. Skepticism is tough because it involves not only modifying entrenched beliefs but rewiring emotional and gut responses that have been reinforced by conformation bias, echo chambers and community kinship. To thrive, the skeptical community needs to be diverse and open to careful consideration of arguments on all sides as long as the arguments have a good dose of serious science in them; it needs to separate empty, bullheaded or purely bigoted opposition from genuine criticism and concerns, and needs to address the latter. It needs to be tough minded in respectfully taking on politically or socially controversial topics. Perhaps some of the findings of science regarding these topics would be unsavory to our sensibilities, but as moral beings with control over their fate, we have the power to decide how to use such findings. 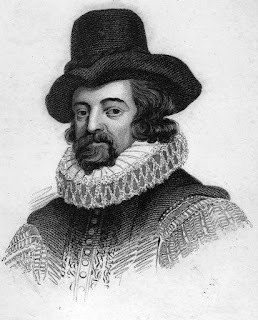 The ultimate word on skepticism could well belong to Francis Bacon, one of the founders of modern science who said, “All depends on keeping the eye fixed upon the facts of nature…for God forbid we should give out a dream of our own imagination for a pattern of the world". We should strive toward our dream but build it on a foundation of facts. There are very many good reasons to also apply skepticism to self-identified skeptics and not simply take them at their word. This goes especially so when people target groups that don't have access to the same platform. For example, one of the theorists most respected by trans people is Julia Serano, who has quite a lot to say about Dreger's work, but there are so many science-defeners who take Dreger at her word and have never even heard of Serano or any other critical takes from actual trans people. Skepticism is /hard/ when the affected group of people is systematically cut out of the conversation, and your skepticism is meaningless if you haven't bothered to actually research multiple sides. Speaking as a trans person, I'll admit it's very hard for me to take seriously ideas that don't reflect my experiences or those of other trans people I know, by people who discard our statements as lies or conspiracy, and twist every minor thing to fit their narrative. When a source I read starts parroting these ideas, I have to start thinking long and hard on whether the Sisyphean frustration of seeing the same bad ideas and deciding whether to engage or bite my tongue is ultimately a greater drain on my energy than whatever positive benefit that source might hold for me. I had a very interesting experience reading this article because I started out nodding along and was quite befuddled by the end. It's convinced me that self-IDed skeptics and rationalists probably are actually best off just sticking to ESP and the like. For any actually controversial subject I am far better off looking into reviewing opposing domain experts rather than having that experience mediated through a generalist "skeptic." I have always tried to, once I am done reading a controversial work of nonfiction and on a high from all its new ideas, read also a notable opposing criticism, and this practice I feel serves well, as far as any individual can hope to achieve a relatively broad ununderstanding of the world in their brief time on it. Thanks very much for your detailed comment and for the Julia Serano reference. I read through some of her posts and found the controversy very interesting. I am glad to see her responding at length to Alice Dreger (although I was hard pressed to find a response from Dreger) and hope to see more of this back-and-forth dialogue in some of the other areas I mentioned. I also agree with your comment about self-IDed skeptics. I stopped calling myself a skeptic a while ago since I realized that we all have a core set of beliefs that we tend not to be too skeptical about. Even on the rare occasions that we do change that set, we replace it with another core set to which the same principles apply.